Why do you need a boundary survey? Boundary surveying allows you to see the exact boundary of what you are buying or selling. A property survey can determine if there are any easements for utilities such as water, sewer, drainage ways, power lines, etc. on your property. Boundary surveying identifies any encroachments like driveways, fences or buildings on the property or crossing any of your boundary lines. A property survey and drawing provide you the exact property line measurements and the precise locations of all structures (houses, barns, etc. ), fences, or driveways related to those property boundary lines. Completing a boundary survey can provide markings along your property lines which allow you to put up a fence on your property boundary line in the correct location so that you don’t encroach on another property or leave too much space between the fence and the boundary line. A boundary survey is the first step in being able to subdivide your property to divide it among family members. Boundary surveying should be done to make sure the building you’re constructing is on the lot, and not encroaching on any easement lines. Our land surveyors in Nashville are eager to discuss your boundary survey needs. To talk about a survey, please call ​(615) 645-1404 or fill out our contact form to the right. 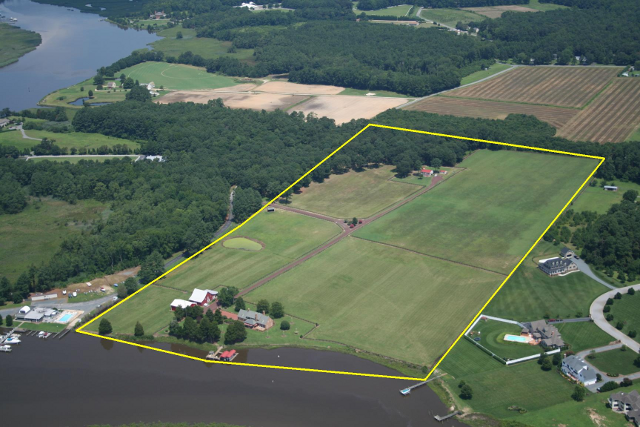 A boundary survey or property survey determines the location of property lines and the monuments that mark the property corners of a parcel of land as described in a deed. The land surveyor undertaking a boundary survey should examine the deed for the property as well as possibly your neighbor’s deed. These deeds are normally located in the Probate office in the county courthouse. The land surveyor may also talk with neighbors and/or the owners to get information they have as to the location of the boundary line. The field work begins by locating all available monuments. Monuments (iron pipes, rebar, concrete posts, fence corners, corner trees, etc.) are typically found at property corners. If they are specifically called for in the deed they are given the highest priority. If they are not called for in the deed, the land surveyor must try to determine if they are in the proper location. This process involves running a “traverse” around the property in order to determine the relationship between all of the points, which are expressed in terms of the “bearings and distances”. Normally, if all the bearings and distances are relatively close to the deed calls then the land surveyor will accept the monuments found as representing the property corners. If there are significant differences, then more land surveying must be done in order to determine the proper location for the corner. During the boundary survey process, the land surveyor will also take into account the neighboring property deeds, and the long term acceptance of the corners found. Boundary Surveyors should make every effort to settle boundary issues found in the field and not create disputes which might lead to a courtroom. How much does boundary surveying cost? The cost of a boundary survey depends on many variables, most of which cannot be determined until after the initial work has started. The size of the parcel, the vegetation type, the season of the year (which affects the vegetation growth), and the terrain (hills and valleys) can be reviewed prior to the survey beginning. The deed research is done first, and the land surveyor will not know how extensive this search is until they go to the courthouse and start trying to piece the deeds together. If the land owner has any deeds or abstracts these should be provided to the surveyor. This will somewhat reduce their research time but time will still have to be spent on adjoining deeds. Some parcels have passed through many owners over the years. Some may have added adjacent parcels or sold off portions of the original parcel. The more of these subtractions and additions that have been done, the more complex the deed research. Also, the land surveyor won’t know in advance whether corner monuments can be found or if their location is close to the deed calls. This is determined after most, if not all, of the field work is done. Money Saving Hint – if you need the boundary lines marked it might be best to do that in the winter when the leaves are off. Ask your land surveyor about splitting the job into two parts to accomplish these savings. 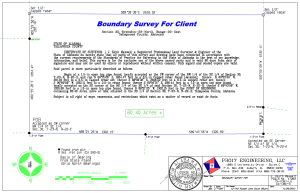 What will I get when a boundary survey is complete? After the survey is completed the land owner should expect that the property corners are marked or flagged in some way. Land Surveyors usually use either brightly colored surveyors ribbon or paint. There may also be a wooden stake placed beside the corner marker as a “witness” to the monument. If new or replacement corners were set, these are required to be marked with information that identifies the land surveyor who performed the work. If the landowner requested that the lines be marked at some interval then these markings would be in addition to the marks at the corners. If the land surveyor marks the boundary lines with flagging or wooden stakes, then the land owner may wish to put something more permanent in their place like a metal fence post. Animals (and kids – aren’t these animals too) are notorious for pulling flagging and wooden stakes down. It is also a good idea for the landowner to walk their lines occasionally in order to refresh the marking or to make sure the monuments haven’t been disturbed. Last, but not least, the land survey should produce a drawing of the results of the boundary survey. Except in very rare circumstances, state law requires the preparation of a drawing. The survey drawing provides the landowner with a permanent record of the survey. If any of the monuments are lost they can be replaced with the information shown on the survey drawing. There are a number of minimum requirements for the survey drawing. One main requirement is that the survey drawing provide the legal description of the property. Other requirements can be found in the printed Standards of Practice for each state. The surveyors professional society in Tennessee can be found on the Tennessee Association of Professional Surveyors’ website.